[O]ne who authorizes and permits an instrumentality that is peculiarly dangerous in its operation to be used by another on the public highway is liable in damages for injuries to third persons caused by the negligent operation of such instrumentality on the highway by one so authorized by the owner. Over the years, the doctrine has been applied to golf carts, trucks, buses, tow-motors and other motorized vehicles. Meister v. Fisher, 462 So. 2d 1071 (Fla: Supreme Court 1984); See, e.g., Eagle Stevedores, Inc. v. Thomas, 145 So.2d 551 (Fla. 3d DCA 1962). 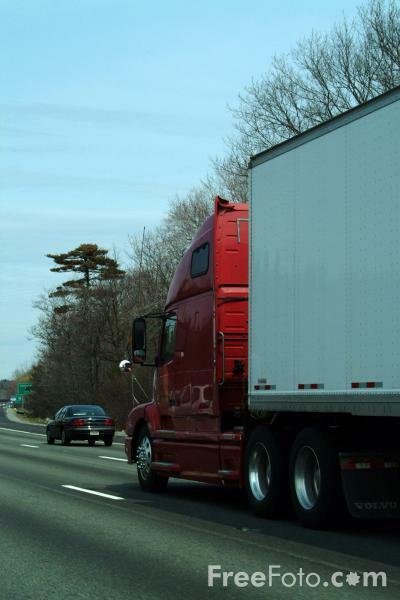 Does the doctrine apply to trailers that make up the semi, tractor-trailer rigs so common to our highways? To the surprise of many, including some lawyers, the answer is No. See Saullo v. Douglas, 957 So.2d 80 (Fla. 5th DCA 2007); Pullman v. Johnson, 543 So.2d 231 (Fla. 4th DCA 1987); Edwards v. ABC Transportation Co., 616 So.2d 142 (Fla. 5th DCA 1993). This can control whether or not compensation is paid to or on behalf of a person injured or killed by another person’s negligent use of a tractor. Not infrequently, the tractors and the trailers that make up the semi, tractor-trailer rigs are owned by different entities. Additionally, one piece of equipment is likely to be covered by personal injury liability insurance while the other, typically the trailer, is not. Accordingly, when a person is injured or killed by the negligent use of a trailer, financial responsibility may not always be there. Even if the trailer is owned by a company with significant financial means, unless the owner is also the operator, the owner is not responsible for damages. This is because the dangerous instrumentality does not apply to trailers. Only the operator, who may be a lone individual leasing the trailer from a large company, is responsible. The operator may not have the trailer insured and is unlikely to have the personal financial means to cover a significant loss. Under these circumstances, the victim may be victimized twice.